As she grows in knowledge and power, she starts to uncover the depths of Spire secrets. Kirit begins to doubt her world and its unassailable Laws, setting in motion a chain of events that will lead to a haunting choice, and may well change the city forever—if it isn't destroyed outright. Fran Wilde's acclaimed short stories have appeared in Asimov's, Nature, and Beneath Ceaseless Skies. Aside from her writing career, she has worked as a science and engineering writer, as a programmer and game developer, as a sailing assistant, and as a jeweler's assistant. She lives in Pennsylvania with her family. 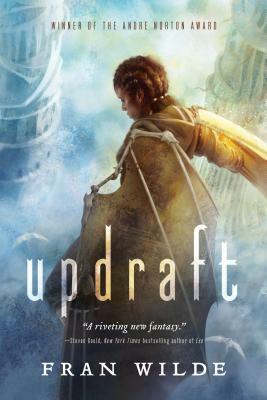 She is the author of Updraft.